3.0 fps continuous shooting up to 830 JPEGs or 2.0 fps for 5 RAW. 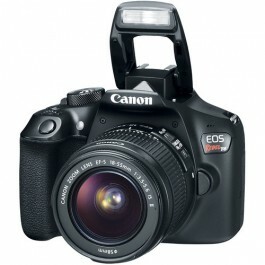 The new Canon EOS Rebel T6 is the ever-improving and most affordable model in Canon's digital SLR series. 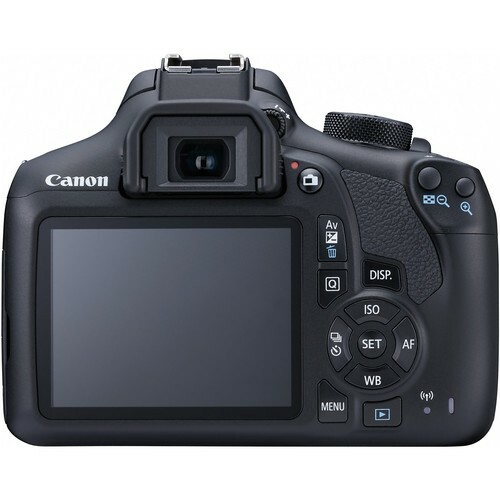 It boasts 18.0-megapixel image quality along with Canon's DIGIC 4+ Image Processor technology. WiFi capaple The T6 camera delivers you the goods with continuous shooting up to 3 fps, ISO sensitivity up to 6400, and a shutter speed up to 1/4000 sec. The Live View shooting mode gives you the ease to switch from still frames with Full HD video feature with full-time autofocusing at the touch of a button. This kit even includes an 18-55mm lens with Canon's latest IS II feature that was not previously seen in Canon's included kit lenses. Bottom line is you get more advanced features built into what was previously the EOS Rebel T6 along with the added bonus of the HD video mode.